The SA2200, is a thinline semi-acoustic perfection. A solid block of wood runs through the otherwise hollow body for enhanced sustain and feedback resistance, giving the instrument a remarkable ability to reproduce everything from mellow jazz tones to the aggressive snap and growl of a solidbody. Performance muscle comes from two powerful Alnico V humbuckers, whose coils can be split via the tone knobs to provide additional, single coil-like sounds and combined permutations via the three-way pickup selector. Add in beautiful cosmetics like the figured maple body veneers and split-block inlaid ebony fingerboard, and this is an instrument you’ll find hard to resist. 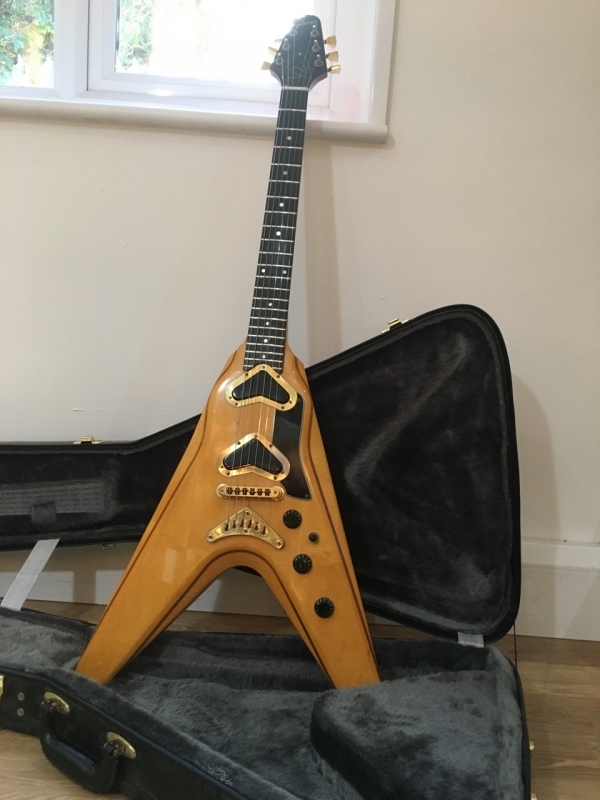 In fantastic condition, completely original, setup great, plays really well and is worth every penny! Please feel free to email or call 10435 205050 should you wish to try or view the guitar. Gibson Les Paul Traditional 2018 SOLD.